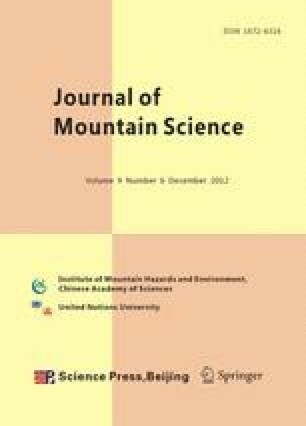 This study was performed to estimate the emission of non-CO2 greenhouse gases (GHGs) from biomass burning at a large fire area. The extended methodology adopted the IPCC Guidelines (2003) equation for use on data from the Samcheok forest fire gathered using 30 m resolution Landsat TM satellite imagery, digital forest type maps, and growing stock information per hectare by forest type in 1999. Normalized burn ratio (NBR) technique was employed to analyze the area and severity of the Samcheok forest fire that occurred in 2000. The differences between NBR from pre- and post-fire datasets are examined to determine the extent and degree of change detected from burning. The results of burn severity analysis by dNBR of the Samcheok forest fire area revealed that a total of 16,200 ha of forest were burned. The proportion of the area characterized by a ‘Low’ burn severity (dNBR below 152) was 35%, with ‘Moderate’ (dNBR 153–190) and ‘High’ (dNBR 191–255) areas were at 33% and 32%, respectively. The combustion efficiency for burn severity was calculated as 0.43 for crown fire where burn severity was ‘High’, as 0.40 for ‘Moderate’ severity, and 0.15 for ‘Low’ severity surface fire. The emission factors for estimating non-CO2 GHGs were separately applied to CO 130, CH4 9, NOx 0.7 and N2O 0.11. Non-CO2 GHGs emissions from biomass burning in the Samcheok forest fire area were estimated to be CO 44.100, CH4 3.053, NOx 0.238 and N2O 0.038 Gg.